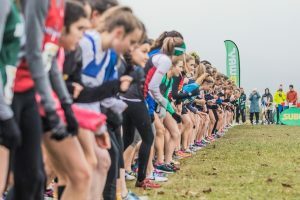 The Sentinel Secondary Cross Country program recently played host to the BC Provincial Cross Country Championships. Over 1300 athletes descended on Jericho Beach where the event was held. Despite being chilly, rainy and even snowy at times, the event was a huge success. Sentinel would like to thank the over 70 volunteers, many of whom are Sentinel students and parents, for their help in making this huge undertaking a major success. Thanks to Sentinel teachers Hugh Wilson, Lauren Hart and Mark Fenn for all their work in planning, organizing and running the event. Also a huge congratulations to the Sentinel Senior Girls who grabbed the silver medal finishing second in the province. Well done!